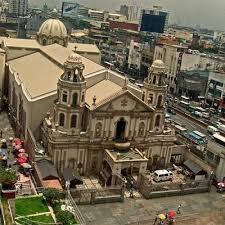 Quiapo is a childhood word-of-mouth by almost all children of Metro Manila. It has once become the heart of the maddening city and the crown of image to portray the Philippines as a country of strong religious belief in Catholicism. To visit the official church website, please go here. The Quiapo church is a living centuries old testament to that through the yearly visited tourist attraction event, the Feast of the Black Nazarene (Pista ng Itim na Nazareno). 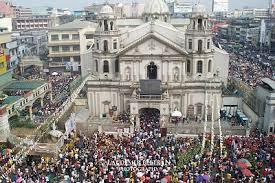 During this fiesta, Manila is flooded with tourists that turn the church into the most popular tourist spot in Manila. 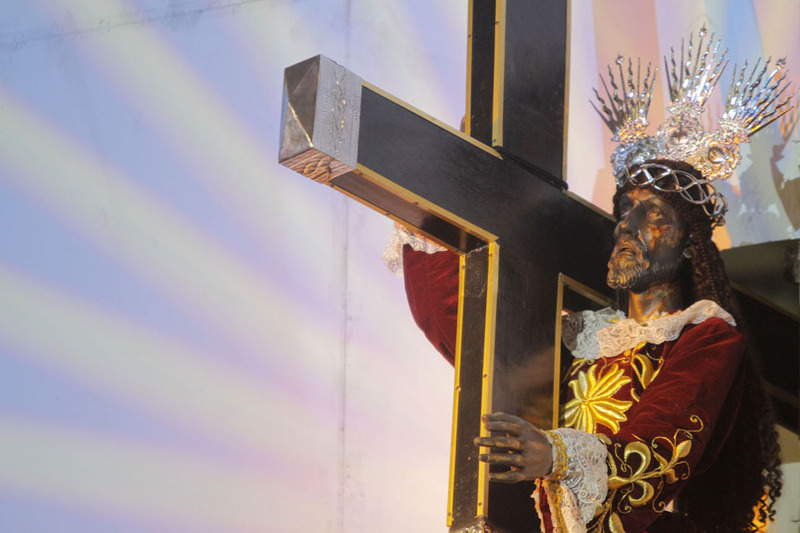 The "Black Nazarene" better known by Manilenyos in tagalog as "Itim na Nazareno" is a yearly celebrated religious icon in Manila. A tourist attraction spot during January it is a certified traffic congested area in Quiapo everywhere when this day comes as the procession or parade progresses using a routing scheme for the devotees (deboto) during the second week of the New Year calendar - January 9th. An overnight event where most devotees don't sleep until the next day parade is finished so they can accompany the Black Nazarene to its procession ("prusisyon") route around Metro Manila the whole time. It is also the feast day of Quiapo celebrated by the people in the district area covered by baranggays where devotee volunteer business owners cook food to offer for free to the debotos in the prusisyon. This whole event is usually covered via live streaming video by different news such as GMA 7 Kapuso, ABS-CBN channel 2 Kapamilya, TV 5 Kapatid, channel 13 and many more media organizations and association. Many Filipino-Chinese businessmen offer their food cooking service year after year as part of their pledge or "panata" offering free food and water to the hungry and thirsty devotees and fiesta visitors of the barangay. Panata is also the word for many devotees who have pledged their loyalty to become part of the hauling team of the Black Nazarene of the Minor de Basilica church fronting Plaza Miranda or to the least to be part of the accompanying team who believe all their blessings of cure and health is because of the Black Nazarene. Usually, an ailing loved one or himself who have been cured because of the panata sa itim na Nazareno. Just located in front of the church, this playground of Manila diversified offers is where you can find a large vacant lot area called Plaza Miranda. It is witness to Quiapo Manila's rich historical background both in the first quarter storm in the 70's during Martial Law days of Ferdinand Marcos and until today where numerous rally were held. 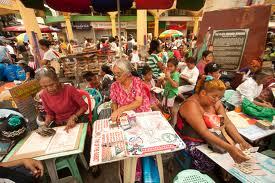 The Plaza is also home to some of the best (so they say) fortune tellers in Manila. 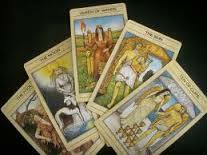 If you ask how much it costs to have your fortune told by these self-proclaimed experts, I don't have an idea. Some would say it costs Php 50 pesos and some would say up to as expensive as 300 pesos, an expensive treat for anybody who doesn't know their own fortune and would love these "manghuhula" (fortune-tellers) to tell it to them instead. Today, the plaza has become home to different scam artists (if I may call some of them) because the area is known to be a center for many promdis who are most prone to scumbag tactics for money by these con artists. It has also become home to different uniquely sold religious items, herbal concoctions and potions (like pampalaglag), the rainbow candles, assorted herbal plants and natural remedies, amulets and anting-anting and all sorts of religious artifacts. The market or "palengke" in the area is also home to some exotic delicacies being sold like kinulob na itik and adobong itik as well as gatang laing and ginataan kuhol or suso. The palengke is also home to the traditional tumpukan buys from vegetables to fruits and different market goods like ukay-ukay and the cheapest UN costumes i've seen being sold in Manila, comparable to Divisoria and SM Malls with respect to quality. If you are a photographer or even just a mere curious-type who love the art of taking pictures whether for professional or personal purposes and still haven't been around in Hidalgo Street, I think it's about you go check this part of Quiapo out. It is home to some of the best repair centers and technicians in Manila for your defective camera where you can find hard-to-find and out-of stock second hand parts and accessories being sold and repair is while you wait. I've tried it with my Cannon and I know it. You can also buy brand new camera there as well as different accessories and substitute parts. You can even ask any store about some tips if you want to buy one or already have one and buying additional accessory for it. Surprisingly, this part of Quiapo is also where you can find almost one fourth of the alley with stalls selling ukay-ukas clothes and wearables at the cheapest. December is the best month of the year if you want to buy here. Pick pockets are seen anywhere in the world you may be but in this part of the Metro's maddening crowd, you really have to think twice coming over with all your money in one place. You might want to consider scattering them all over your pants and wallet and secret pockets for extra precaution especially during the days of devotion on Wednesday, Friday and Sunday. 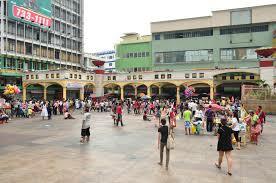 The reason behind is that pickpockets roam around looking for the next victim to go get their next meal from. These lumpen are most prevalent during peak days of prayer and devotion as stated above at the Minor de Basilica church. They usually come unnoticed in the areas of Plaza Miranda, Hidalgo, Carriedo streets, in the market and in the under pass. Never leave things unattended or else, a salisi gang member might be on your side and you won't know them by simply looking at them. Different places tell a different story. Quiapo is no different and if you are somebody new to this place in Manila, below is a guide on how to get there using the official map location from Google Maps. I hope this guide route will be able to help you get to your destination in the area.